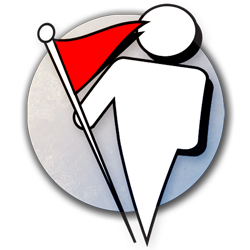 Flagme allows users to collect and trade GPS locations. A Flag is the combination of a GPS location, a name, a description and a picture compiled into one easily accessible and shareable format. Forget about street addresses. Share your discoveries with friends with the push of a button. There's no better way to tell someone how to get somewhere. © 2017 Forthmedia, Inc. All rights reserved.